The field of urology embraces the study, diagnosis and treatment of diseases of the genitourinary tract in men, women and children. Urologists are first and foremost-surgeons, although strides in urologic science have enabled urologists to treat an ever-increasing number of patients non-surgically, within an office setting. We have witnessed and continue to see advancements and improvements in virtually every aspect of our field, medical and surgical, and therefore feel that urology is certainly one of the more exciting and innovative medical specialties today. Dr. John J. Basile is a native Northern Virginian. Following his graduation from the University of Virginia in 1976, he received his Doctor of Medicine from the Medical College of Virginia in 1981. He earned both his general surgery and urology training at Wake Forest University (Bowman Gray) from 1981 to 1986. From 1986 to 1989, Dr. Basile served as a Major in the United States Air Force at Vandenberg Air Force Base, where he was awarded the Medal of Distinction. He was certified by the American Board of Urology in 1988. 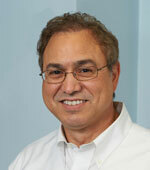 Dr. Basile returned to Northern Virginia in 1989, where he has been in private practice. He has been consistently chosen as a leading area urologist by the Washingtonian Magazine in their "Top Doctors" issues. Dr. Basile is a member of the American Urological Association, the American Medical Association, the Washington Urologic Society, the Medical Society of Virginia and the Fairfax County Medical Society. He is an assistant clinical professor of urology at the George Washington University Medical Center, and has been granted privileges at INOVA Fairfax Hospital, INOVA Fair Oak Hospital and Columbia Reston Hospital Center. He has two children, and his hobbies include tennis, golf, and comic book collection. Dr. Sunil V. Patel is originally from New Jersey. He graduated from the Pennsylvania State University in 1993 with a Bachelor of Science degree in biology. Upon completing college, he attended UMDNJ-New Jersey Medical School and received a Doctor of Medicine in 1998. He earned both his general surgery and urology training at Washington Hospital Center from 1998 to 2004. He is certified by the American Board of Urology. 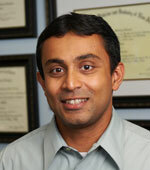 Currently, Dr. Patel is in private practice in Northern Virginia. Dr. Patel is a member of the American Urological Association, American College of Surgeons, American Association of Clinical Urologists, and the Washington Urologic Society. He has been granted privileges at INOVA Fairfax Hospital, INOVA Fair Oaks Hospital, and Columbia Reston Hospital Center. He is married and lives with his wife and their daughter and son. His hobbies include racquetball, hiking, golf, traveling, and watching movies and sports.